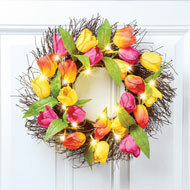 Welcome the fresh colors of Spring with this beautiful tulip wreath. 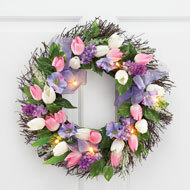 It features pink and white tulips, purple morning glories and hyacinths arranged atop a twig wreath and accented with 8 sparkling lights. Req. 3 "AA" batteries (sold separately). Hook on back makes hanging easy.  Rattan, polyester and plastic. 17"Dia. 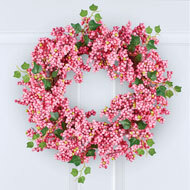 Spring colors and lush greenery atop a lovely twig base make this wreath a wonderful addition to your home. 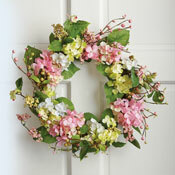 Sage green and pink hydrangeas bloom on a wreath surrounded by ivy and berry accents. Hook on back for hanging. Iron, polyester, vine. 18" Dia. 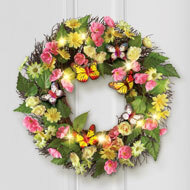 This stunning wreath features brightly colored flowers, butterflies and greenery. Yellow daisies, pink flowers and lush greenery atop a twig wreath are complemented by yellow lights that add a touch of sparkle and shine. Req. 3 "AAA" batteries (sold separately). Has hook on back for hanging. Plastic and rattan. 17"Dia. 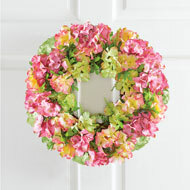 Beautiful Spring colors in shades of pink and green make this delightful hydrangea wreath the perfect addition to your home. Hang it on your front door or anywhere inside your home for a bright splash of color and style. 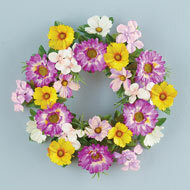 Polyester and plastic flowers atop a twig wreath. Hardware on back for easy hanging. 16"Dia. 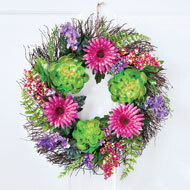 This beautiful wreath features a gorgeous combination of pink gerbera daisies, succulents, purple flowers and berries. 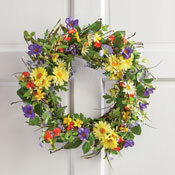 The colorful flowers cover a twig wreath and a hook on the back makes hanging easy. Rattan and plastic. Measures 18"Dia. Add a touch of color to your home with this beautiful wreath that's decorated with pink gerber daisies, colorful wildflowers and lush greenery. 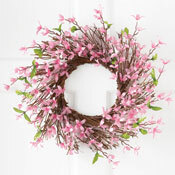 The twig wreath base is completely covered in big, bright blossoms and hangs from a hook on back. Polyester and plastic. Measures 17"Dia. Add a splash of bright and refreshing color to your home with this beautiful wreath that's covered in pink berries and greenery. 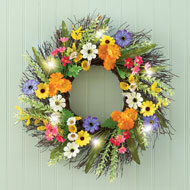 The cheerful wreath will make a lovely addition to your front door or any room inside your home. Hangs easily from a hook on the back. Polyester, twig and foam. Measures 16"Dia.